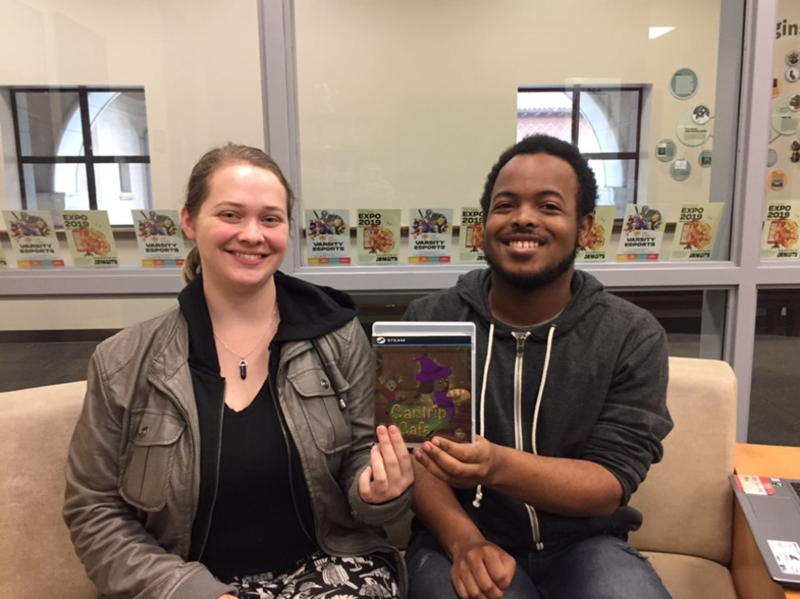 Eva Wierzbicki and Jaden Davis are two IMGD juniors that make up Chubby Puppy Games. This past Valentine’s day they released Cantrip Cafe. 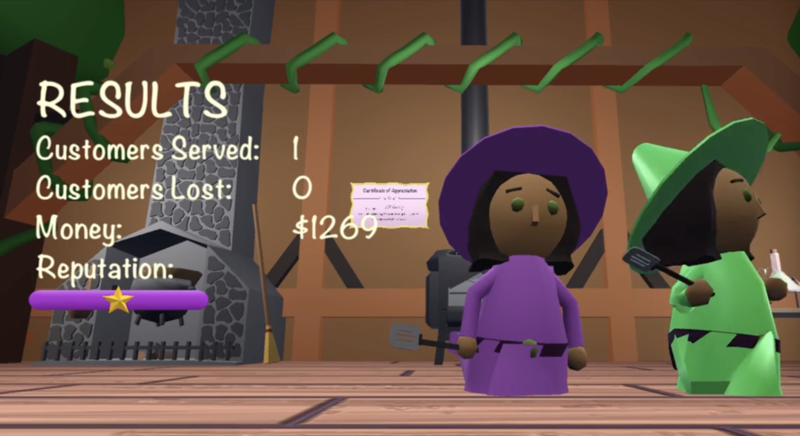 Cantrip Cafe is a zesty, zany cooking combat game, where you play as witches that need to juggle between serving their customers and protecting them from hungry flesh-eating monsters. 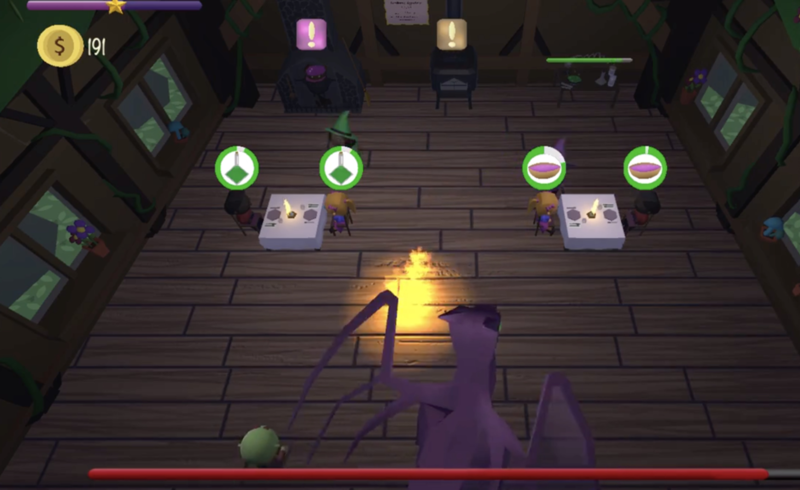 Its dynamic gameplay fosters to both restaurant game lovers and combat fans alike. During development of Cantrip Cafe, Eva was in charge of the games art and designed the UI while Jaden was responsible for programming and focused on the combat system. However, Eva and Jaden also got help from the Berkeley School of Music to create music and help out with sound design. They also contracted help from students taking the Usability Testing for Games class. 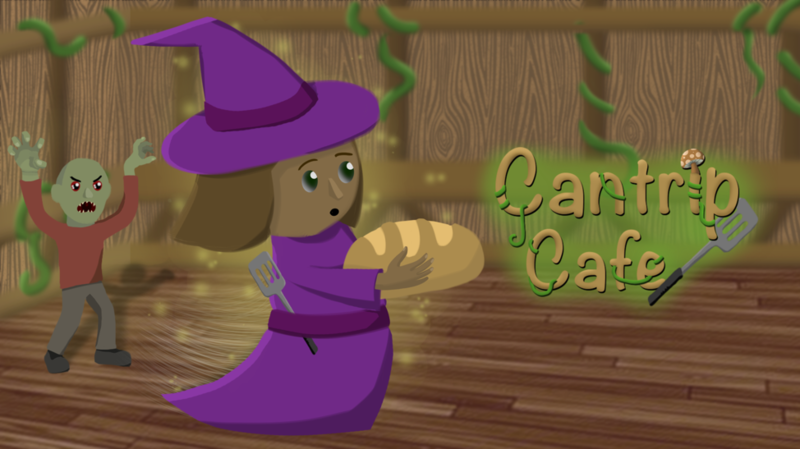 The development of Cantrip Cafe started out as an Intermediate game design project and evolved from there. It took the team over 9 months to release. During those 9 months, both Jaden and Eva had to juggle with school, work, and personal care. Because of their dynamic teamwork, they were able to motivate one another to continue developing the game. So, what’s next for Chubby Puppy Games? The duo plans on going back to Cantrip Cafe to tie up loose ends and polish up some details. However, they don’t plan on spending too much time doing this, as the team is interested in developing a horror game with comedic elements. Find the video of our interview with Eva and Jaden on our Youtube Channel!